Home > Qudos Blog > Securing your assets when is the best time? Securing your assets – when is the best time? Financial success is not achieved by chance, unless of course you’re lucky enough to win the lottery! It takes planning to secure your income and current assets so you can not only enjoy your current lifestyle, but also protect your finances for later stages of life. While everyone’s circumstances are different, here are some tips to consider to help build a strong financial future. You’ve got your first job, you’re tasting freedom and the last thing you want to think about is securing your financial future. That’s boring! Yes, but starting early is the best way to get ahead. Good financial habits will stand you in good stead for the rest of your life. Learn to budget so you have control of your money, keep your debt low and save. Consider setting up an automatic direct transfer to a separate account so you can set it up and forget about it. If you want to buy a house down the track, it might be a good time to start saving for a deposit. Consider using a high-interest savings account or term deposit to get the most bang for your buck. If you’ve bought your first house, congratulations! If you haven’t already, consider preparing a will. It may also be worthwhile to consider protecting your lifestyle by having the right insurance – not only house and contents but also consider life insurance and income protection. Insurance helps to give you peace of mind that all you’ve created and worked for so far won’t be able to just disappear in a heartbeat. Consider an emergency fund – in case unforeseen circumstances, like job loss or major illness, crop up. If you have multiple super funds from working several jobs, you might investigate consolidating your accounts too. Now may also be a good time to consider investing in shares or property. Do your research around the risks involved and consider what’s right for you. We all have different risk profiles and will tolerate different levels of risk, so it’s important to choose an investment mix that won’t keep you from sleeping at night. This stage of life is the time to consolidate all your good habits. Keep saving, keep your debt low and make extra payments on your mortgage when you can to pay it down faster. Consider reviewing your super to make sure the investment balance is right for you. If you’re able to make extra payments into your superannuation, there’s still time for the money to grow before you access it. It’s never too early to start planning how much you’ll need for your retirement. Consider talking to a financial planner to plan what you’ll need for your future lifestyle and what you’ll need to do to get there. Your 50s may be another transition time. You’re potentially an empty nester now, with more disposable income. Or you may have reduced your working hours and started to phase into retirement. Hopefully the end is in sight for your mortgage payments. Consider making those extra payments to bring it closer and reduce the interest you’re paying each month. Check your superannuation investment mix to see if it’s right for your current circumstances. Your investment choices will likely be shaped not only by your personal risk tolerance, but also your ability to keep earning and the gap between what you have and what you need for retirement. Hooray! Now’s the time to reap the benefits of your previous planning with a comfortable retirement. A transition to a retirement pension may let you access your super while you’re still working. This may be an option once you reach your preservation age, so consider talking to a financial planner to see if it’s right for you. 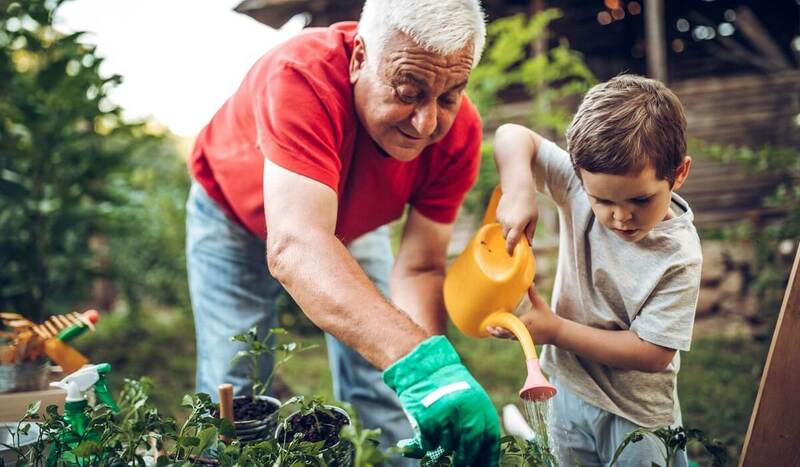 Once you reach your qualifying age, you may be able to receive the Age Pension and access your superannuation to settle back and enjoy your retirement. Take advantage of any entitlements, such as travel concessions, lower medical costs and reduced council and water rates, to make your money last longer. Whatever stage of life you’re at, there are steps you can take to ensure your assets are secured for the future. Looking for advice on how best to secure your assets? Get in touch with our team at Qudos Bank on 1300 747 747 or visit qudosbank.com.au for more information.